ComplianceFirst regroupe un réseau de professionnels suisses et étrangers qui collaborent dans l’organisation de projets de conférences spécialisés en droit bancaire et fiscal, ainsi que de visites de délégations de fonctionnaires étrangers, tout en assurant par ailleurs une logistique complète de A à Z (transports, réservations de salles et d’hôtels, traduction simultanée…). En raison du succès grandissant de notre réputation de sérieux et de professionnalisme, nous sommes fortement sollicités pour organiser des programmes complets dans tous les domaines d’excellence. The Lebanese Association for Taxpayers’ Rights (ALDIC) was declared by the Lebanese Ministry of Interior on August 8, 2012, under number / 1399 /. ALDIC is a place of cooperation, exchange and initiatives, whose mission is to serve the general interest. ALDIC strives to promote tax ethics and compliance by informing citizens about their rights and obligations and by enlightening them on issues and challenges of taxation, in particular, to encourage them to seek greater control over the management of public funds at all levels of the administration. Public finances are the backbone of the state policy. Indeed, it is through effective management of public resources that the modern state can realize the ultimate mission assigned to it, namely to ensure the well-being of its citizens by guaranteeing them access to education, health, employment, and retirement, as well as a number of public services. However, proper management of public funds requires active participation on the part of citizens, who, in a democratic system such as Lebanon, have not only the right but also the duty to ask for accountability from their representatives. It is therefore by acknowledging the role to be played by the civil society that the Lebanese Association for Taxpayers’ Rights (ALDIC) was born and has set, among other missions, to promote knowledge, financial literacy and citizenship in fiscal matters. – To militate in favor of a reform of the current tax system to ensure greater justice and tax fairness through a fair redistribution of resources and efficient public services while promoting the necessary growth of the Lebanese economy and its sustainable development and competitiveness. – To call for the modernization of the institutions and the establishment of structures that permit a better control of the management of public funds as well as a protection against all forms of misappropriation or misuse of power. – To promote tax ethics as a key factor in informing citizens and taxpayers to encourage them to fulfill their obligations and protect their rights. – To support communication and interaction means between citizens and the tax administration in order to contribute to the establishment of an area of ongoing dialogue (forum). – To draft and submit studies, action plans and projects of all kinds that may be used in the legislative and regulatory areas to improve and modernize the existing legal framework. d’une offre corporate sur tous les événements de SYMPOSIA. Chris Orchard joined Hansuke after 31 years at HM Revenue & Customs (British Tax Authority). He has worked in various technical and policy areas, including as an investigator and policy lead in Counter Avoidance. During that time, he chaired the working group at the OECD. Chris has worked in the International Relations and Exchange of Information team, where he was directly involved in exchanging complex tax arrangement information with overseas tax administrations. Latterly, he was the senior policy adviser for Automatic Exchange of Information. During this period he worked closely with the OECD and the European Commission on delivery of the Common Reporting Standard («CRS») and its adoption into an EU Directive, as well as delivering the UK legislative framework and associated guidance. Maxence Manzo est avocat en droit fiscal. Sa pratique couvre tous les aspects de la fiscalité relatifs aux entreprises pour leurs transactions et restructurations tant françaises qu’internationales (audits fiscaux pré-acquisition et structuration fiscale), notamment en matière de fiscalité immobilière. Il conseille également les dirigeants pour la mise en place de management package (BSPCE, actions gratuites, actions de préférence, …) et les investisseurs français et internationaux en matière de fiscalité générale. Enfin, il a également une pratique du contentieux fiscal (procédures de rectification, perquisitions fiscales, contentieux administratif et judiciaire, …). Il est membre de l’Institut des Avocats Conseils Fiscaux (IACF) et est diplômé de l’Université de Paris II-Assas (Maîtrise en droit des affaires et fiscalité, 2002 – DESS Fiscalité internationale en partenariat avec HEC, 2003) et de l’Université de Pennsylvanie (LL.M, 2005). Ali Kazimi is the managing partner at Hansuke. Before founding Hansuke, Ali served as the Tax Leader for the Banking and Investment Management sector at a leading global consulting firm. Ali has over 25 years of financial services industry experience having held successive leadership roles within Big 4 firms and as head of tax at Barclays Global Investors (now BlackRock). Ali has been at the forefront of helping leading Financial Institutions become complaint with FATCA and CRS. Ali is a frequent speaker at conferences and has also written on a wide range of topics. Ali is a chartered accountant and a long-standing member of the Chartered Institute for Securities and Investment, International Fiscal Association, and the Association of Corporate Treasurers. 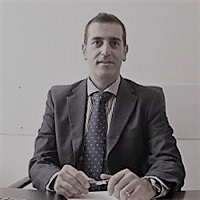 Shawki Ahwash is the designated Money Laundering Reporting Officer (MLRO) and Head of AML / CFT and Sanctions Division at North Africa Commercial Bank sal, Beirut-Lebanon. Shawki holds a Master’s Degree from AUB and is a certified anti-money laundering specialist (CAMS) and holder of Combating Financial Crime (CFC) certificate from CISI-London. He is a speaker with Union of Arab Banks (UAB), World Union of Arab Bankers (WUAB), ACAMS, and other institutions tasked with countering money laundering. Shawki has also participated as AML / CFT trainer in several MENA compliance and corporate governance workshops aimed at building and strengthening capacities to counter illicit financial flows and mitigate financial crime risks. 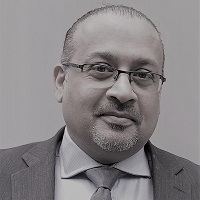 Ahmed has extensive consultancy experience in assisting Financial Instructions understand and comply with European Union General Data Protection Regulation (GDPR). He combines his privacy, data protection, compliance, operational and information systems expertise to assist financial institutions with transformational projects. He shall share key insights for Lebanese banks on how to comply with legal and fiduciary duties under the EU GDPR regime. Ahmed is a PRINCE 2 and GDPR qualified practitioner and has worked for global banking groups. He holds an MSc from the London School of Economics in Analysis, Design and Management of Information Systems (‘ADMIS’). 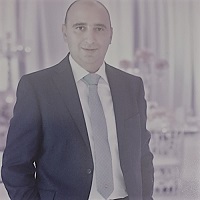 Sarkis Mazraani is the Head of AML / CFT Compliance Unit at Creditbank s.a.l.. Sarkis holds a Master’s Degree in Banking Management from USJ, certified as Anti Money Laundering Specialist from ACAMS and as Operational Risk Executive from Grant Thornton. 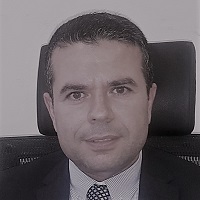 He has a banking mixed experience for more than 23 consecutive years in the local and international banking sectors in IT, Migration, IT Security, Operational Risk, Operations, Distributions, AML / CFT and Compliance. Sarkis is a trainer, facilitator and University Lecturer. 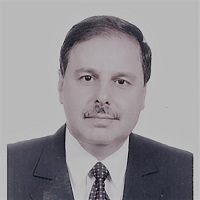 Omar Modad is a Senior Anti Money Laundering Compliance examiner at The Lebanese FIU (SIC), and an AML / CFT assessor with the MENAFATF. He has spent over 13 years auditing banks, financial institutions, brokerage firms, money dealers & other reporting entities within the Lebanese financial system to assure compliance with AML / CFT laws and regulations. Omar Modad holds a Master’s degree in Financial Economics from AUB. Nadège joined Norton Rose Fulbright in 2011 and is leading the Technology and Innovation team in Paris. Nadège Martin is a technology and intellectual property lawyer based in Paris. 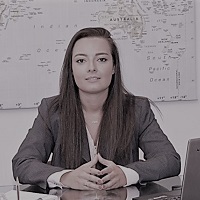 She has specialized in information technology, outsourcing and data protection law for the last 17 years and works for a broad range of clients from various sectors (banks and insurance, energy, life science, retail, etc). 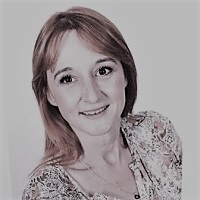 Nadège has extensive experience in assisting clients on major IT transactions (BPO and ITO, cloud services and other XaaS licensing models, integration agreements, etc) and on complex software compliance audits initiated by software editors. 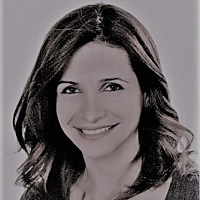 Nadège also advises on recent technological developments, such as new cloud computing models, blockchain technology or AI technologies. In the field of privacy, Nadège regularly advises clients, under French law and the new EU General Data Protection Regulation (GDPR), on local and cross-border data privacy issues, information and consent policies and data export solutions, and assist them in the implementation of their GDPR compliance program. Nadège helps clients on the development of their data-based product and service offerings, e-commerce strategies, digital projects, connected objects, big data programs. Nadège also has a broad experience in advising and assisting clients in the handling of data security incidents and data breaches. Partner at Kobeissi & Frangié law firm and member of the Beirut and Paris Bars, Jade Kobeissi graduated from the Lebanese University (Maîtrise de droit). He holds a Master (DEA) in international private law and international commercial law from Paris II Assas University, a Master (DESS) in litigation, arbitration and alternative dispute resolutions from Paris II Assas University, and a Master in Management from HEC (Paris). Jade Kobeissi joined Kobeissi & Frangié after working as an associate for several years in the Merger & Acquisitions department of Gide Loyrette Nouel (Paris & Casablanca). 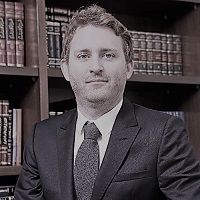 He specializes in foreign investments, mergers & acquisitions, joint ventures and more generally on corporate law (MENA Region and more particularly Lebanon), in intellectual property and international. He has recently developed a specific expertise in the economic sanctions field. Hadi holds a degree in Telecommunication Electrical Engineering from Ecole Supérieure d’ingénieurs de Beyrouth (ESIB), Université Saint Joseph (USJ) and a Master’s degree specialized in Computer Security Systems & Networks Télécom ParisTech. 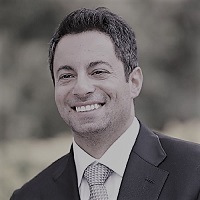 During the last 17 years, Hadi advised, trained, and taught several organizations around the world, both in the public and privates sectors, on issues related to Cybersecurity and digital risk management. He holds many distinctions in digital security innovation. Hadi often speaks about Cybersecurity and digital technology at schools, universities, conferences, events and on the media. His educational technique is praised by hundreds of auditors who have followed his presentations. 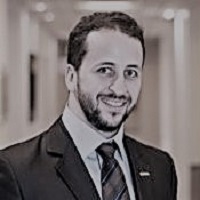 Hadi is Co-Founder of the French Chapter of the information Systems Security Association (ISSA), international organization which groups more than 12000 cybersecurity professionals. Finally, Hadi is a member of the Cyberdefense reserve team within the French Army. Following a degree in Telecommunications from Université Saint-Joseph (USJ) in Beirut, Antoine Feghali completed a DESS in NDS (Network and Distributed Systems) from Université Pierre et Marie Curie-Paris VI in 1998. Since 2000, he is a lecturer on NDS security management at USJ (Faculté d’Ingénierie et Faculté de management). As a member of CIMTI-USJ research laboratory, Antoine has participated in numerous research projects on ICT security and participated in different international conferences relative to group applications security, IPv6 security, Cloud computing security, SDN, Blockchain, etc. 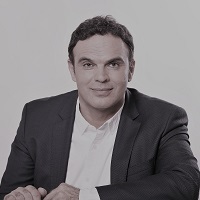 Throughout his 20 years career, Antoine has held several technical and managerial positions with leading integrators and has been a consultant for the Lebanese Army / Ministry of Defense for 3 years. 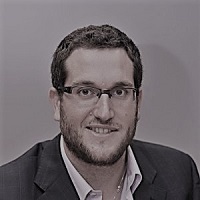 Antoine is currently Associate Director of Potech Consulting S.A.R.L., an advisory firm specialized in information technology, OB Soft S.A.R.L, company specialized in software engineering, as well as Soft Pro Services S.A.L, specializing in Cloud Computing and managed services. 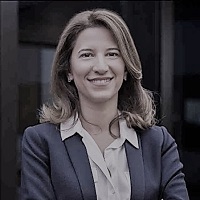 Maya Abboud is Head of the Legal Compliance Division at Banque Libano-Française (BLF). 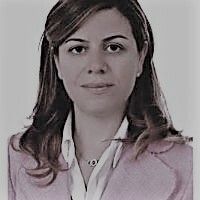 Holder of a Masters in Private Law from Saint Joseph University and lawyer at the Beirut Bar, she joined the Legal Division at BLF in 2007 as head of Studies, Affiliates and Special Affairs Unit. In 2013, she was tasked with setting up the Legal Compliance Division that supervises the BLF Group’s compliance with local and international laws and regulations, and has been managing it ever since. Jihad Bitar is an entrepreneur and director of Smart ESA accelerator. Jihad started his career in management consultancy at Arthur Andersen in Paris and London. 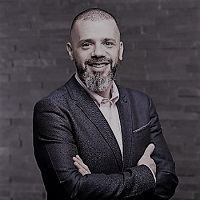 He came back to Lebanon in 2004 and helped set-up Comtrax Solutions, a media analysis company that was acquired in 2011 by one of its clients, a media content creator, where he remained as its strategic communications director. In 2015, he co-founded Ideo Parfums, a Lebanese perfume company, now present in 5 countries. In 2017, Jihad launched and now manages Smart ESA, the accelerator of ESA Business School. Imad is a seasoned digital media and marketing expert with 13 years of experience in the MENA region. He has been directing the development and application of digital media since the early days of the Internet, with a career centered on digital media planning and buying, ad technology management and product formation. His role at DMS is focused on developing and reinforcing the company›s vision, values and commercial policies, while aligning the latest digital media and advertising solutions with the needs of leading brands and industry trends. Imad also oversees the commercial aspect of the business by analyzing commercial data from various sources. Imad has been appointed recently as Head of Publishers at DMS. Anita S. Vartanian is a certified Public Accountant licensed by the California Board of Accountancy and Enrolled Agent licensed by the Internal Revenue Service, with offices in Los Angeles and Beirut, specializes in international tax compliance matters for U.S. persons and foreign financial institutions, primarily in the areas of FATCA compliance, FBAR compliance, dual citizenships, tax treaty planning and corporate restructuring. Prior to her certifications, Anita attained a Certificate in Accounting from the University of California Los Angeles (UCLA), Extension Program. Anita also has a Bachelor of Science in Business Administration from the American University of Beirut (AUB). 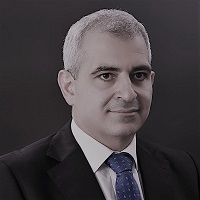 Adib Y. Tohme is an international business lawyer and a Lebanese economist. He is president of the association Citizen L. Graduate of Harvard Law School, Université Paris 2 Assas, USJ and ESA Business School, he has taught in several international universities, and notably Harvard Law School where he obtained a Residence program and collaborated with the Harvard Human Rights Journal. Adib Tohme acts as a consultant for different multinational firms and institutions, such as UNCTAD. He practices law and is an economic consultant in Beirut, New York, Dubai and the GCC.